US billionaire, Bill Gates, the second richest man in the world, and his wife Melinda along with other family members are vacationing in the Jewel. News that his yacht was moored nearby sent the residents of the island speculating whether the Gates would drop in to enjoy the island’s charm. Gates arrived this morning on his luxury mega yacht Attessa IV which is sitting right off the coast of Ambergris Caye, outside the barrier reef. As far as we can tell, soon after arrival the Gates family was flown to the private resort of Cayo Espanto off Ambergris Caye and by this afternoon they reportedly headed to the Hol Chan Marine Reserve. 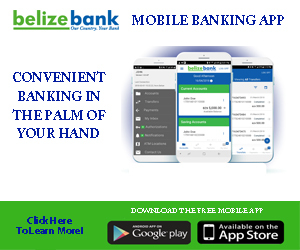 The billionaire and his family are expected to make stops at various world renowned destinations in Belize including southern Belize, the Turneffe Atolls and the Great Blue Hole. Immigration and custom officials this morning gave them the all clear for a one month stay in Belize but it is not known how long they will remain in the country. 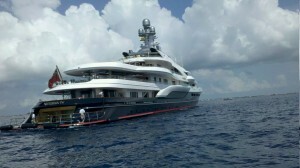 The three hundred and thirty foot yacht has a crew of twenty-three and comes complete with a helipad. The vessel is being captained by Sergiy Pashchenko; it has an estimated value of two hundred and fifty million dollars and can accommodate up to thirty-six guests along with the crew. 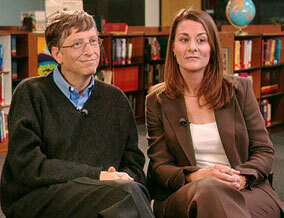 Gates, the founder and owner of Microsoft Company, has a fortune worth some sixty-two billion dollars. He has donated in the range of thirty billion dollars to charity and is a recognized as a leading philanthropist. 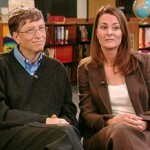 Along with his wife, they have established the Bill and Melinda Gates Foundation, one of the largest charitable foundations. To understand the magnitude of his wealth, it is estimated that Gates earns two hundred and fifty US dollars every second, which is over twenty-one million US dollars a day. On a point of interest, in January of 2012 the Inter-American Development Bank (IDB) signed an agreement with Belize under the Salud Mesoamerica 2015 Initiative during the SICA Head of Central Banks meeting at Coco Beach Belize on Ambergris Caye. The project has sponsorship from the Bill and Melinda Gates Foundation and the Carlos Slim Health Institute. Slim, a Mexican national, is the richest man in the world. Put some dollahs in Belize Mr. Gates please! We need yo help brotha! I wish Bill Gates would buy Belize, deport all the criminals, (street and in office) and turn Belize into Dubai or better. Let’s hope his yacht no go bruk di reef like that sucka slim. bze shuda mi sue fi he !@$$! Bill GAtes ain’t the 2nd richest anything! He’s ALWAYS by far and away been the richest(as he is to this day). The phone joker slim was never where they said he was. Gates gives more away than he knows what to do with and he’s still the richest. In this lifetime, he will ALWAYS be! Period.